The Ninety Nine Restaurants is a comfortable place to get together with friends and family to enjoy great American food and drink at a terrific value. The menu has something for everyone and offers a wide selection of appetizers, entrees, delicious desserts and signature cocktails. So give us a try today! It’s always a great idea. 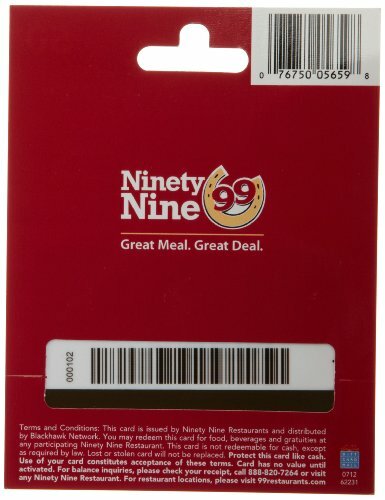 Ninety Nine Restaurants are a comfortable place to get together with friends and family to enjoy great American food and drink at a terrific value. 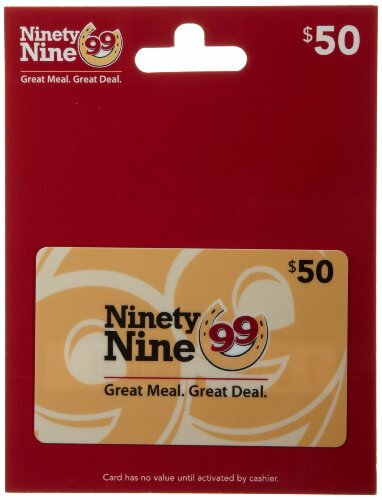 Give a Ninety Nine Restaurant gift card today! It’s always a great idea.